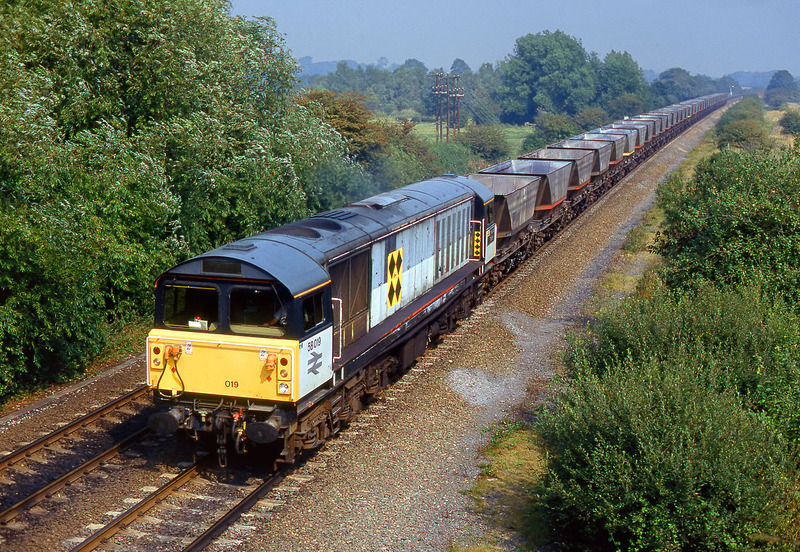 58019 Shirebrook Colliery passes Clay Mills (Hargate) on 4 September 1991 with southbound MGR empties. An everyday scene at the time, but just over a decade later the class would be consigned to history, after a scandalously short lifespan of less than 20 years (at least in this country). 58019 itself only had a lifespan of 17 years.